TONIGHT: Snow showers fade. 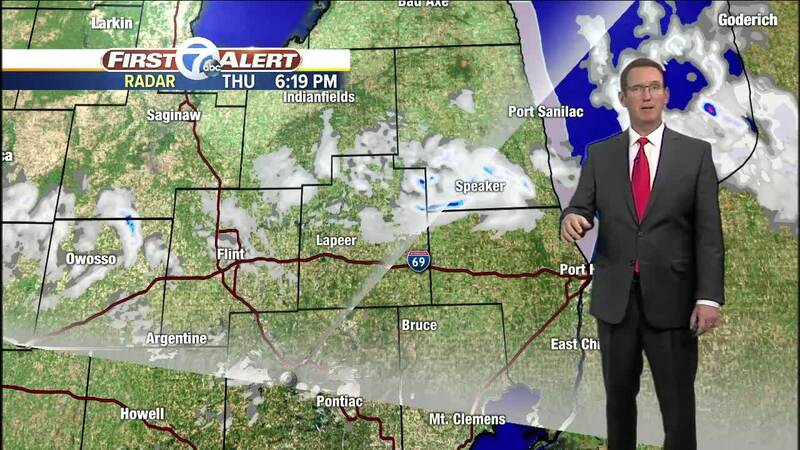 Partly to mostly cloudy and cold with overnight lows near 20 in Detroit and teens in the burbs. WNW 5-10 mph. FRIDAY: More clouds than sun and around 30° for a high. Winds: Variable at 5-10 mph. SATURDAY: Mostly sunny with a low of 19° and a high of 32°. SUNDAY: Mostly sunny with a low of 19° and a high of 36°.